I tore pieces of washi tape in "Polka Dot Red" to make it appear like they were holding the postcard together (this is my "broken" element). I LOVE this card and I don't even know what specifically about it draws me to it... I just love the way everything coordinates so perfectly together!!! (: I happen to think it's also very sweet and happy and it shows just how much love went into the making of it! The pattern paper is from My Mind's Eye "All Is Bright" 6x6 paper pad, which I got from my good friend, Vanessa Vergara at V's Sweet Ideas--thanks, girlie!!! (: This paper collection is just luxuriously beautiful!!! :D The gorgeous rose and leaves images are from the retired Deasy Design's "Floral Fusion" stamp set, which I colored in using one of my ditto glimmer mists in red. I absolutely LOVE these color sprays--they're STUNNING!!! And of course, the Postcard image and super adorable sentiment are by Lawn Fawn's "You've Got Mail" and "So Thankful" stamp sets. My card base is Papertrey Ink's rustic white cardstock and let me tell you, the quality is OUTSTANDING!!! Never again using another brand of cardstock! 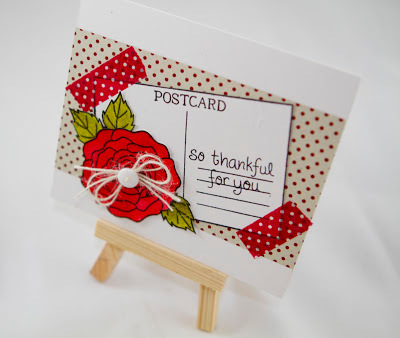 Gorgeous card Grisel! I love the stamps you used! Wow, Grisel!! This is GORGEOUS! !Totally love your new card!! The red & white is beautiful!! And that big flower really pops!! Lovely card , like how you treated the postcard and what a fabulous flower! 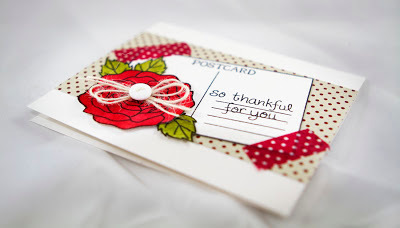 Thanks for joining us at Lexi's Creations for our 'Thanksgiving/Thanks' challenge. This is just wonderful!....love the bright reds...love how you used the Washi tape for your broken elements. 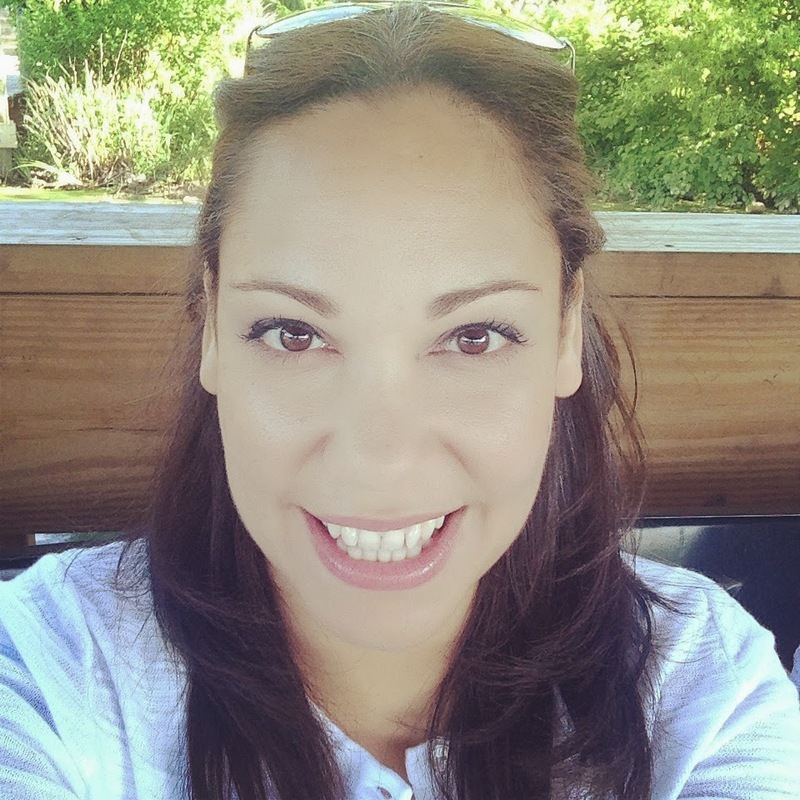 You did a wonderful job using so mand different products! Fabulous!!! This is so BRIGHT And CHEERY!